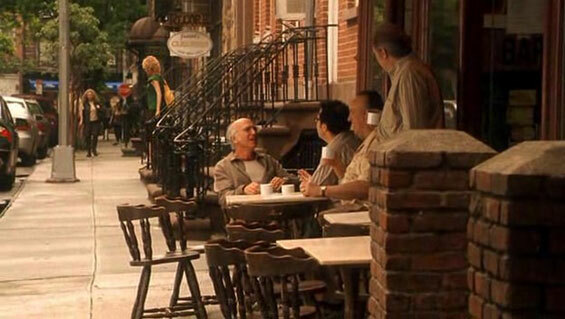 Cafe Vivaldi, 32 Jones Street and Bleecker Street, Manhattan. 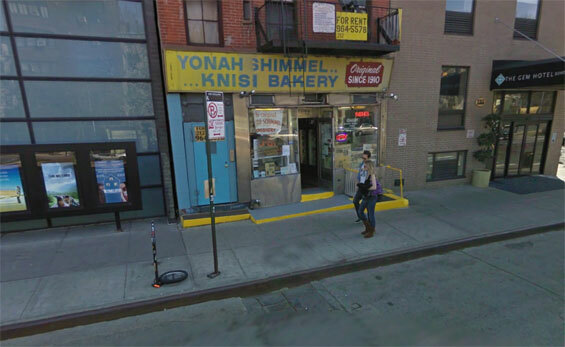 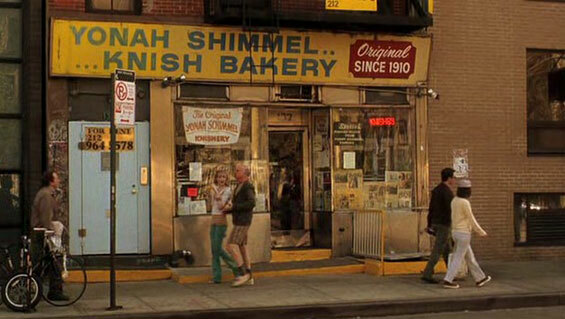 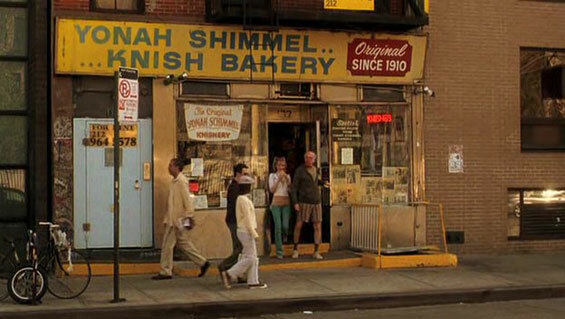 Yonah Schimmel's Bakery, 137 E Houston Street and Forsyth Street, Manhattan. 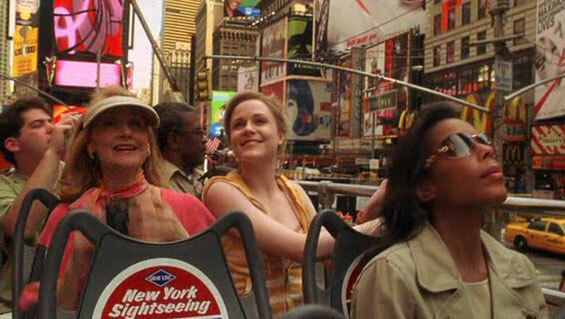 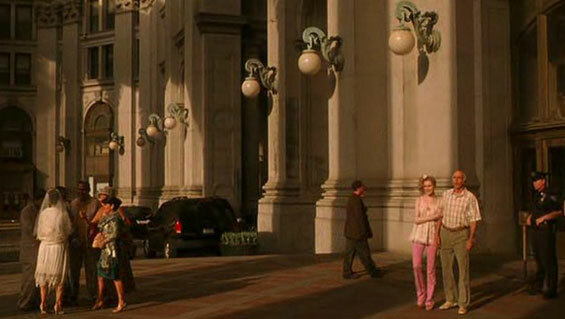 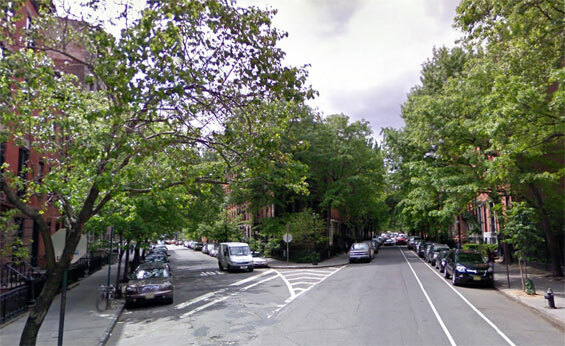 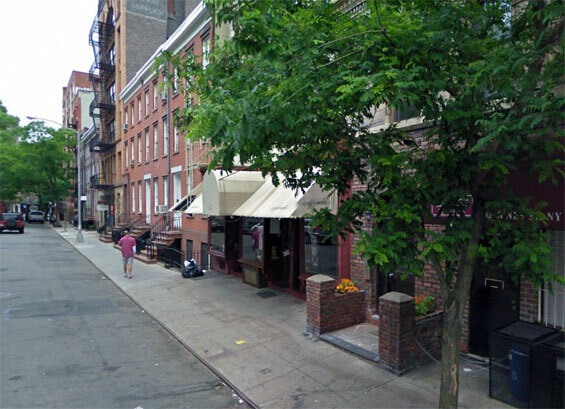 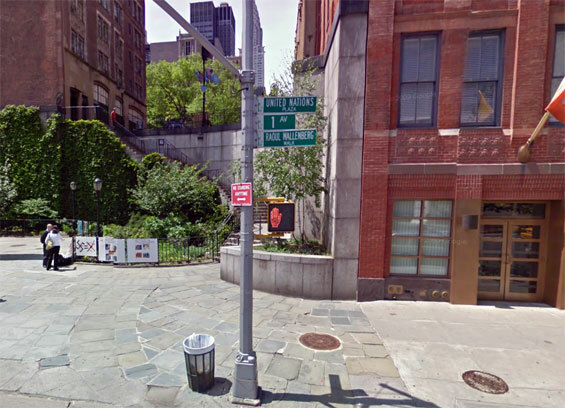 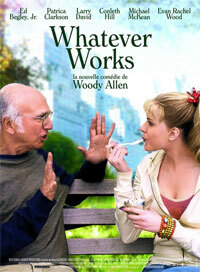 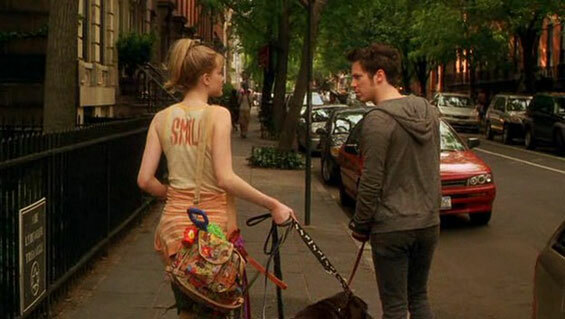 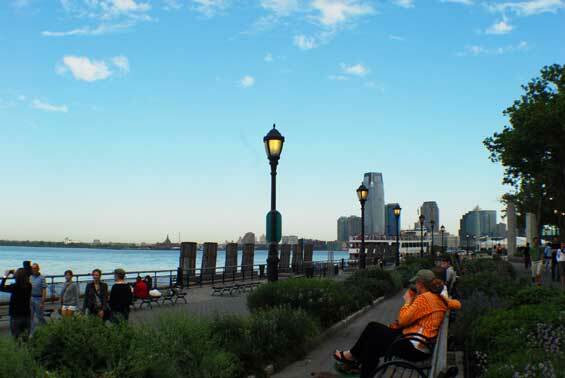 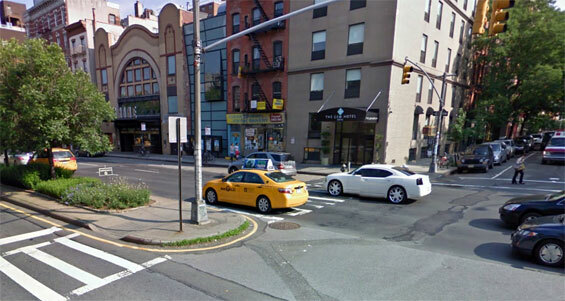 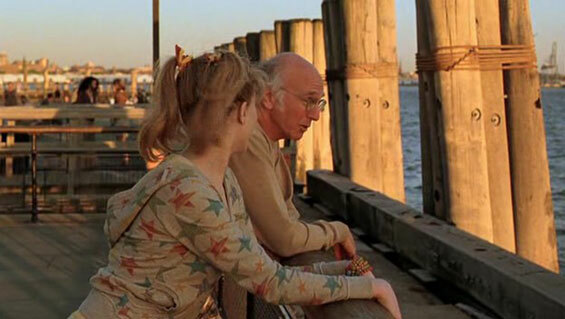 otsoNY Comments: Stuyvesant Street was the used as the residency for Nicole Kidman's character in The Interpreter. 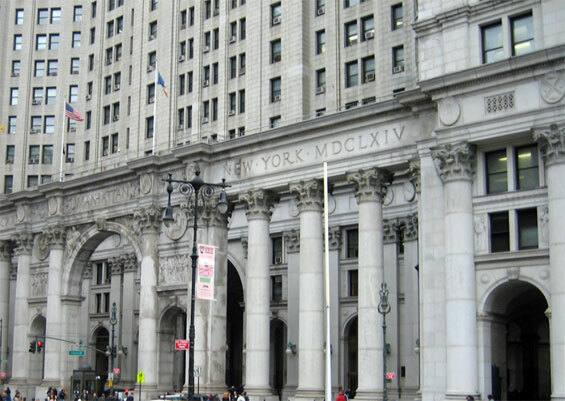 Courthouse, 1 Centre Street, Manhattan. 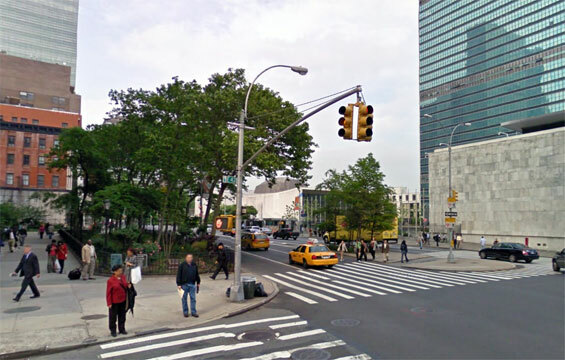 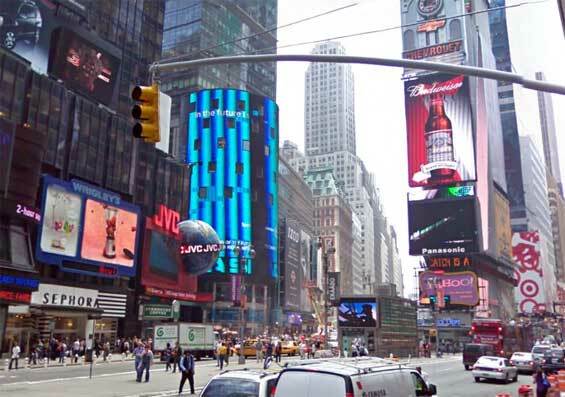 1st Avenue and East 43rd Street (near United Nations Plaza) Manhattan.